Spring is in the Air. And I Don’t Care. So, the sun is out, birds are chirping, my eyes, nose and lips are swollen (I look like Indian Shrek). All signs point to spring. Yay? Nay. Nay? Yes, nay. I am sad. You know how you lose something really special to you, and then you get a chance to get it back, and all of the signals and people and stars and things are pointing directly at you getting this thing back, and you start to feel optimistic due to your new-found good fortune…and then it just disappears? That’s what’s just happened to me, so I am sad. And maybe you think you know what I’m talking about. But I could be talking about a necklace. Or a sandwich. I get really attached to sandwiches sometimes. I’ve been slowing down a bit on the blog, which is semi-intentional. I’ve been out and about quite a bit lately, trying to distract myself from…myself. In fact, just the other night I attended an exhibition at The Met called Guitar Heroes, about the history of the stringed instrument. Yes, that was me trying to prove I am fancy and cultured. 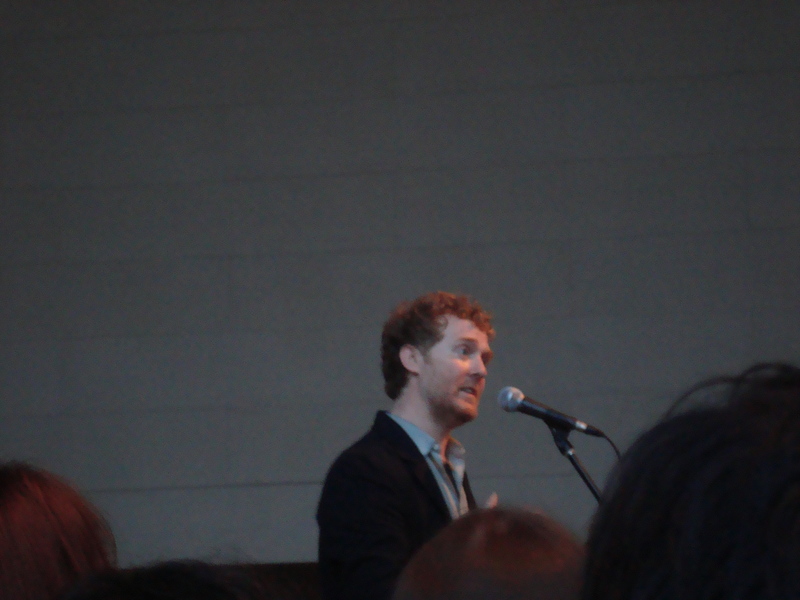 Glen Hansard happened to be there as well, and he happened to be performing at the Temple of Dendur, and I happened to be directly in front of the stage and completely transfixed. 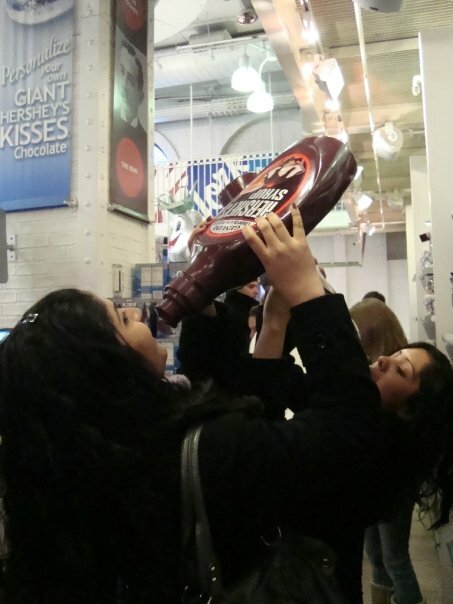 There also happened to be free wine and beer at the reception. This was all coincidence. I am so fancy and cultured. Fancy meeting you here, Glen. Grease a 9-inch springform pan and preheat your oven to 275°F. In a large bowl, combine the chocolate and butter, and microwave in 30-second increments, stirring after each nuke. 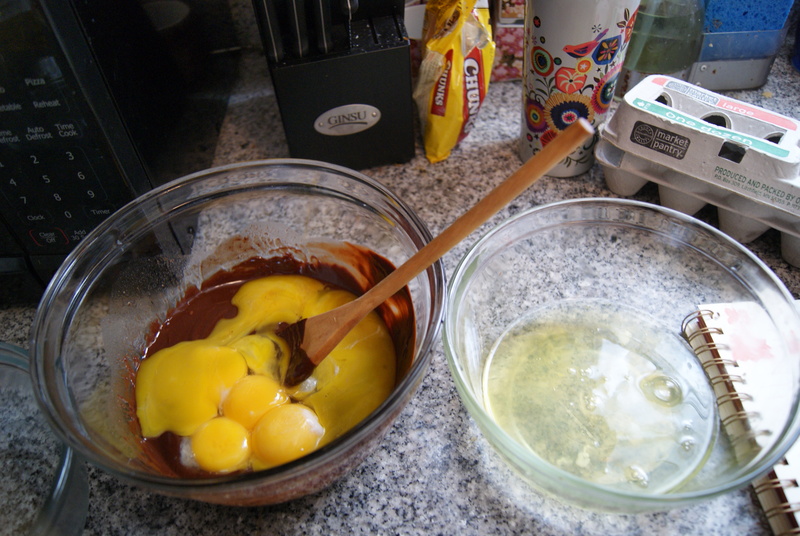 When fully melted, whisk in yolks. In a separate bowl, beat the egg whites until soft peaks begin to form. Add in the sugar gradually until the whites look shiny and stiff. Add the whites a little at a time to the chocolate mixture, then stir it all together until fully combined. Be careful not to over-mix, as the cake won’t be as light and airy if you’ve beaten it down to nothing. That’s just cruel, dude. Rhea felt like this post needed photographic proof of me smiling and having fun. That happens sometimes. Pour the batter into your greased pan. Before you do that though, make sure the springform pan actually does come apart fairly easily when it’s unlocked. 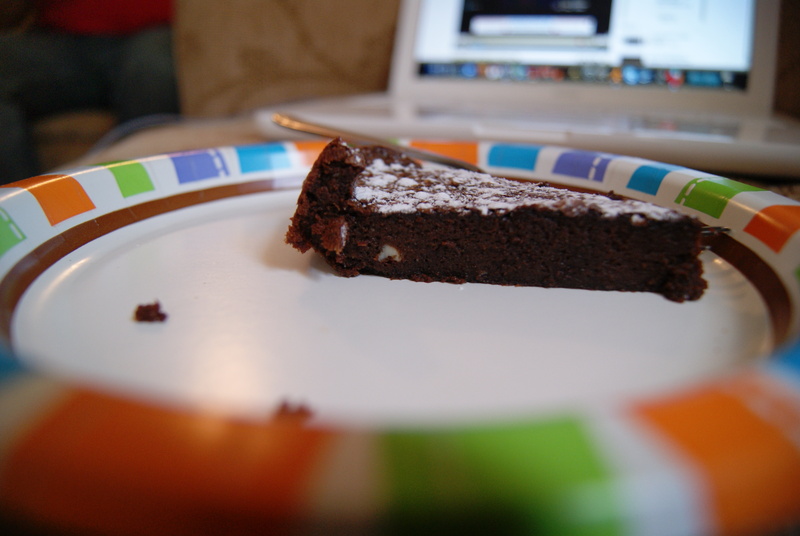 I’m just saying this almost became a cakeless flourless cake because of how irritated I was. Anyway, bake it for 45 to 50 minutes, until the cake starts to pull away from the sides of the pan and looks set in the middle. Cool the cake on a rack away from the oven, then once the pan is completely cooled, remove the sides of the pan. 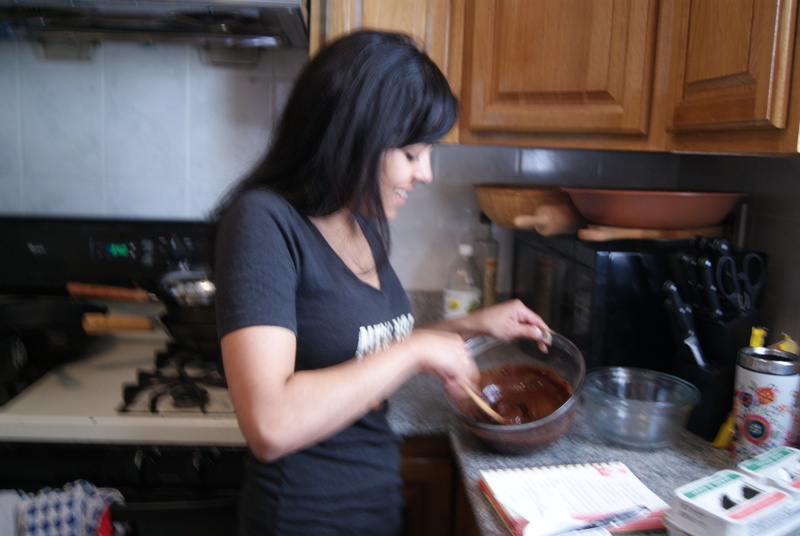 Sprinkle on some confectioner’s sugar, cut yourself a slice, and geez, just be happy. Thanks for playing photographer, Rhea!